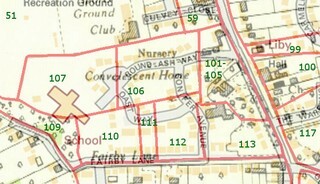 Round Ash Way, Oast Way and Conifer Avenue were built in two phases on land that was formerly part of Fairby Grange. 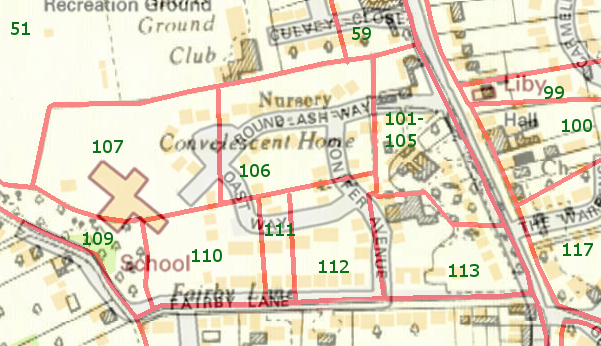 All the road names are fairly explanatory, although Round Ash Way has lost the Ash tree which once stood on the southern corner of the green that gives the road its name. The Ash tree was a survivor of a belt of trees that once grew at this point. I believe the green is not a public land but privately owned by the surrounding houses, with a covenant to leave it open. The bollards around the green appeared between 2003 and 2007.